Are you nerd enough? 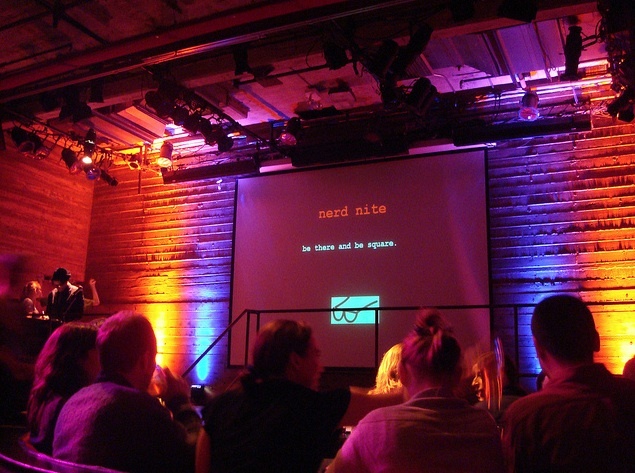 Tape up your glasses, text your trivia knowledge and listen to fun lectures and presentations at Galapagos Art Space’s Nerd Nite. Nerd Nite Nerdtacular will be held September 7th at 8pm at the Galapagos Art Space. This event is $15 per person and open to the all ages. Galapagos Art Space is located at 16 Main Street at Water Street in DUMBO. Please visit galapagosartspace.com and nerdnite.com for more information.